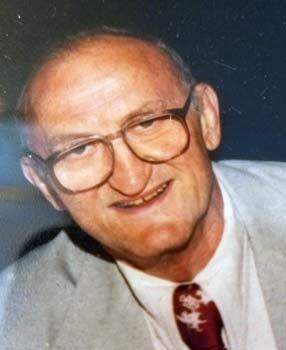 Alfred “Al” Lang, Jr., 94, of Park Ridge. Passed away August 21, 2018 in Park Ridge. U.S. Navy veteran of WWII. Beloved son of the late Lillian Hoffman Lang and the late Alfred Lang, Sr. Devoted brother of the late Anita E Lang. Al was a retired 25+year employee of RR Donnelly & Co as an accountant. A member of the Amicus Society of the Advocate Foundation and he loved the Northwoods of Minnesota. Visitation will take place Monday, August 27, 2018 at the M J Suerth Funeral Home, 6754 N Northwest Hwy., Chicago from 10:00 AM until the time of the funeral service at 11:30 AM. Interment with Military Honors at Irving Park Cemetery. For further information 877-631-1240 or www.suerth.com.